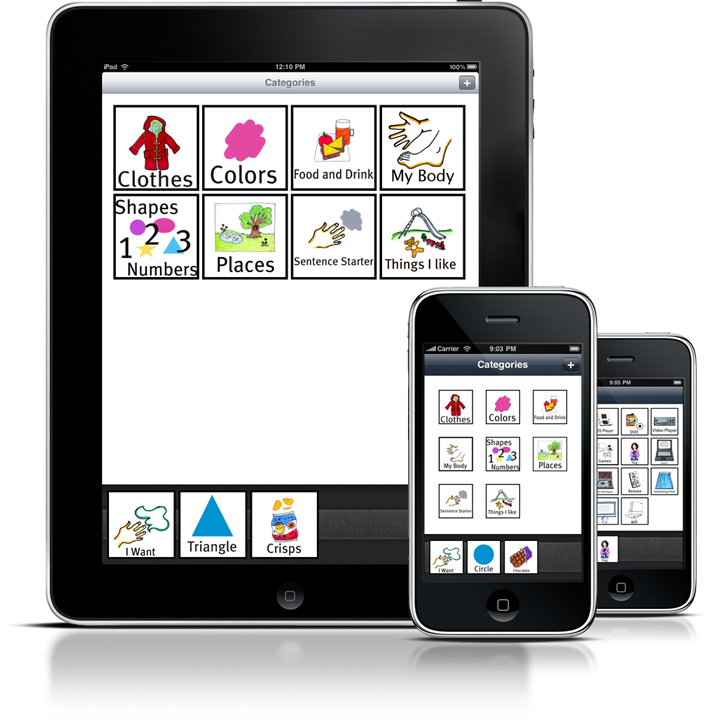 Grace, our application for communication with non-verbal children is now available on the App Store for iPhone and iPod touch, and hopefully will be available Day 1 on the iPad App Store (the application has been submitted to Apple for approval). This is fantastic Steve. Lot of people with motor difficulty, C.P. and stroke victims will be in need of the iPad version. Now I'm hungry for cornchips! I sent this to iTunes as well and on my review of "Grace", but I would like a full refund of the $38.00 I spent on your app. Can you please help make that happen? I have a son with autism, and I didn't appreciate paying that kind of money for an app that should be "free" or $4.99 at the most (I think even $4.99 is pushing it...). Thank you in advance for your help. @Tommy we've seen no money from Grace as of yet, it's all in Apple's hands right now, but as far as I know they're open to refunds if you use the relevant contact channels. Not sure where you came up with $4.99, all of the other applications of this ilk are much more expensive than ours (not to mention do not support iPad). Also note that this replaces a physical system that ends up over $100 to set up. Thanks for your prompt reply--I'll wait on Apple's response for the refund. I didn't mean to disparage the quality of your work with the $4.99 remark, I just think the complexity/features of the program should be better reflected in the price of the app (and if you search "autism" in the app-store, you'll find multiple systems that appear to do what your app does for only $4.99). I understand physical systems are tremendously expensive (believe me, I've looked into them...) which is part of the reason we spent money on an iPad, and of course it is your prerogative on how much you choose to charge for your intellectual property. I do think if you keep the price at its current level you will have more complaints from people like me. Either way, thanks for your help and have a good night. Its a pity you are on the dark side of application development! I need a WM version of the same application! communicationaustism.com developed something similar funded by MS but ran out of $$ when it came to a developing a version for 800x420 screens like my HTC HD2. These screens are becoming more and more popular so its a pity. @ajt320 I can pretty much confirm there will be no version of Grace for Windows Mobile 6.5 or earlier. I am open to bringing it to Windows Phone 7, but a lot of that could depend on whether O2 Ireland stock WP7 phones and are interested in having Grace on the platform (O2 funded this project). We made sure to design Grace so that it would be scalable to higher resolution displays, with it already ported to the iPad at 768x1024. You are right in that high resolution artwork costs quite a bit of money to produce. I'm glad you came to ask Steve about the windows systems as I have no idea. My experience is based around Beta testing the iPhone platform with 6 autistic kids and I can stand by the durablity and practicality. - one repair in 2 years of testing. I also love the app store as we download a lot of cheap and free games to use for rewards and work tasks. And we can share these on any of the devices- so it makes travelling and waiting much easier. Tommy: I'm so sorry you were disappointed but I'm glad you have contacted Steve for support. Grace is deliberately simple - to run on the oldest phones and devices, this was intended to facilitate sharing phones amongst the family but we are also getting old iPhones donated since we launced. It runs in real time on the 2G up to 3Gs - with no delay. The picture vocab is simple and based on standard picture exchange - since the app is customizable with the users own vocabulary using the camera or photo sharing. "Voca" apps like Prolouque2Go run slow on older devices which can be very frustrating. They are also intended for the completely non verbal. Grace is based on Verbal Behaviour where the user MUST approach a listener in order to get the request granted. You prompt and practice speech each time, rather than letting the machine speak. 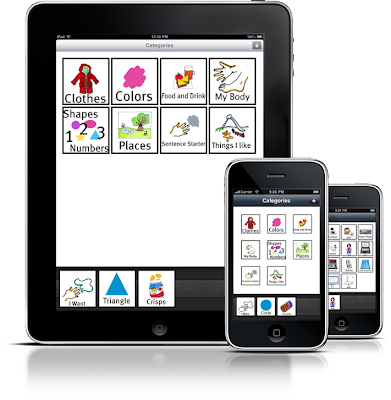 I do think Prolouque2Go is amazing - it runs beautifully on the 3Gs and my autistic son loves to play with it. Maybe that would suit you better? I bought a few of the cheaper picture apps and I couldn't work them, let alone the kids. So that's why I developed Grace. Thanks again for your feedback, I am very new to this so will leave you in Steve's capable hands with regard to Apple. Hi have posted comment on a couple of places I'm new to blogging. Would like to say congratulations you are certainly on the right track with communication. I am a teachers aide in Qld Australia and am very excited about GRACE. I have 2 sets of parents that are very keen on downloading grace for their children. Would it be possible to download photo's direct to categories rather than one photo folder. Also would it be possible to add more comments in the sentence starter category, I see, I hear, I like. The children that I work with are on phase 3 of pecs and starting to comment. I am very excited about this as are the parents that I deal with. I have a student who uses a DV4 which is very complex and has taken 6 years for him to master and for me to program it. I have shown a student Grace today and she was very keen and found it very simple and staight forward going from pecs folder to iphone. Fabulous. Once again welldone. Can't wait for updates. Thanks for the reply - much appreciated. I have the developers over at XDA Developers giving me a hand (they are a top community). PixTalk is Open Source so I expect that there will be someone who rises to the challenge to port it up to higher resolution screens and WM 6.5.X platforms. I also expect that they will tweak it to make it more Androidish in look and feel. I might also approach MS about the issue. Both my kids were born in Qld and if you click on my avatar you can contact me directly at my blog page. Boo as we call him went to the AAQ school in Brighton. The category sorting software is coming down the line from Apple very soon. Steve and I always intended it to be incorporated as soon as possible but we wanted it to be integrated, rather than a separate app for the desktop. I am a complulsive sorter - but I found during the development of the proto-type that the real Gracie - my daughter; always ignored my categories and went straight to the main album to scroll through hundreds of pictures to find the photo or film she wanted. She still does. Picture Exchange Veterans tend to be highly visual and have no trouble finding what picture they need. When the software update is available - keep that in mind before you expend too much time on it! Hi thanks for that will keep the sorting thing in mind. I'm from mackay so resources are pretty limited so really appreciate all the work that goes into your work.